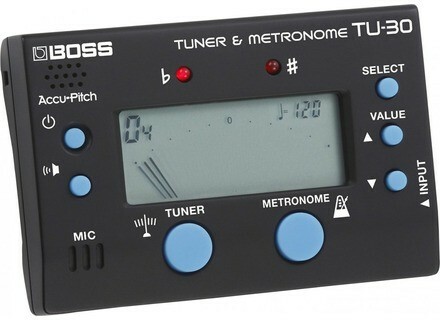 TU-30 Tuner & Metronome, Tuner/Pitch Pipe/Tuning Fork from Boss in the TU series. 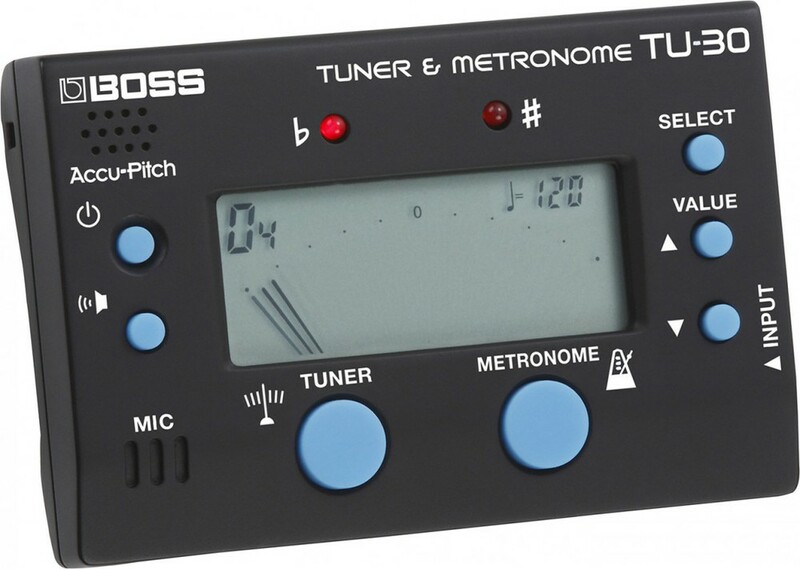 Boss presents the TU-30 Tuner & Metronome, a successor (but in a more compact size) to the brand's well-known TU-80. [MUSIKMESSE] 10 new cabs at Two Notes Two Notes has released 10 new speaker cabinets in exclusive Two Notes format, all created in France by Black Bear Studio. [MUSIKMESSE] Radial JDX Direct-Drive amp simulator Radial Engineering announces the JDX Direct-Drive, a guitar amplifier simulator that also acts as a direct box. [MUSIKMESSE] Korg Sledgehammer Custom 100 Korg presents the Sledgehammer Custom 100, a high-precision clip-type tuner announced with a longer life span.